The whole steel profiling world knows and dreads orders of long thin steel profiles. They bend, twist and are very difficult to get right. Here at AJS Profiles, we like a challenge. 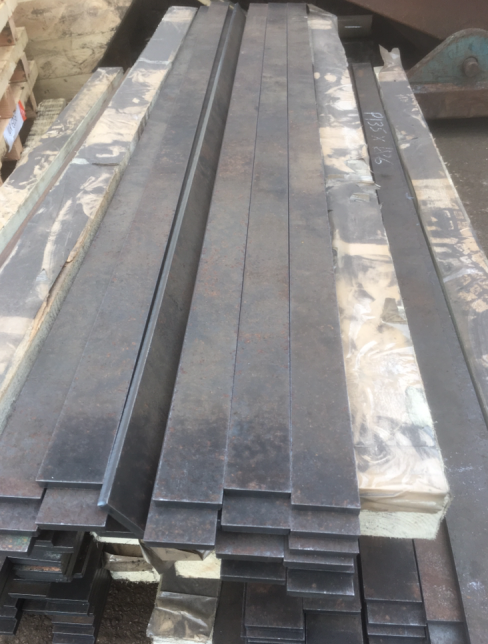 The picture below shows an order we have just completed of 186 off 1620 x 44 x 10mm S690QL1 material. As you can See, they look pretty damn good!! At AJS Profiles, we keep it simple. We keep our customers happy by providing steel profiles and Lumsden Ground blanks quickly. Some of our very satisfied customers are now telling us that they are receiving our steel profile blanks before they have had quotes back from some of our competitors!! The future is bright, the future is AJS Profiles!